This is just a lovely album. 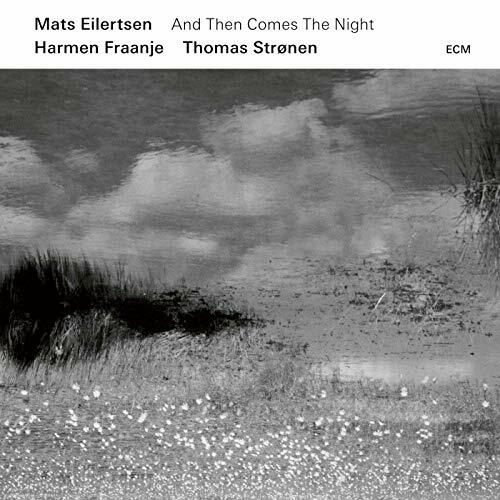 Bassist Mats Eilertsen has had his trio with pianist Harmen Fraanje and drummer Thomas Strønen for a decade, but And Then Comes the Night is only the group’s second release and its first for ECM. It’s also Eilertsen’s second album as a leader for that label, though the Norwegian bassist has played on several ECM records, most notably as part of Tord Gustavsen’s superb quartet. The piano trio format seems to get more and more sophisticated, and this disc is another evolution. Classically inspired, it unfolds like a dream, light and airy, the musicians creating textures more than playing songs. Nobody solos. They barely state themes. They patiently listen to one another, adding to the conversation with spare plucks, gently brushed cymbals, and barely touched keys. The songs are slow, moody, and soothing, but mostly they convey optimism rather than despair. They’re not going to make anyone dance, though. Rhythms are barely perceptible and rarely stated. In fact, the bassist and the pianist come closer to making beats than the drummer does: Fraanje’s repetitive, single-note strikes, Eilertsen’s human-pulse thumping. The shimmering, stripped-back melodies feel deliberately incomplete, as though empty spaces are as important as the notes. There are long stretches of silence on “Perpetum,” broken by a single bowed note or a malleted tom. Still, there are indelible themes. The two versions of “22” that open and close the album are as memorable—and as gorgeous—as anything you’ll hear, and maybe that’s a consequence of their simplicity. Check the price of And Then Comes the Night on Amazon!